So there they are! If you would like to nominate someone for any of these awards, please post here their name, the award for which they should be considered, and a link to the post that best represents your reasoning. PM's will also be accepted. Nominees will be announced on or around December 5, 2018. Voting will commence on or around December 15, 2018. Winners will be announced on or around December 30, 2018. Here are the 2017 winners. Here are the 2016 winners. Here are the 2015 winners. Here are the 2014 winners. Here are the 2013 winners. Here are the 2012 winners. Jared gets my vote for this coveted award. Hmm... Skip is no longer here at CPS. There could be a new "Most Likely to be Found Without Pants at Any Given Moment" winner! He's still listed as a member and gets my vote. I move that the committee consider posthumous awards as most of our good ones are no longer with us. The committee welcomes all nominations. ...other than cobs I haven’t bought any pipes in awhile! So you are saying you haven't purchased any PIPES in some time"
As the currently reigning (and likely never to be repeated) BRATASS of the year, and since I was told when receiving my tiara, sash and bouquet of giant hogweed that I would be representing BRATASSes at shopping mall, Blockbuster Video and bowling alley closings, Superfund site designations, sewer plant cleanings and such for this entire year . . . This is a man of impeccable taste. He knows and loves briar, as any decent man would. He knows, smokes and even blends tobacco - he is a maven’s maven. A pipe and tobacco gourmand’s gourmand. Who among us has never smoked a cOB? Even as a youth? Answer honestly. God sees your heart. Yes, Johnny has admitted to falling into sin. But where is our forgiveness? Our own, searching, inward look? Let he who is without sin cast the first cOB. Picking up a stone as I have yet to smoke a corn cob pipe . . . . but alas, I have smoked the Swisher Sweets as a young one and that is like the cob of the cigar world so I will repent of my judgement. I don’t know how I’m just now seeing this, but it gave me a chuckle. I am unabashedly unrepentant, although I love a good Briar, I am a true believer that cobs have their place in the pipe world, for me some tobaccos even smoke better in a cob. To many of you this may elicit a gasp! 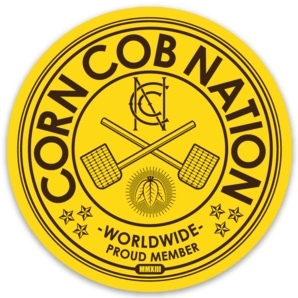 To that I can only say... COB NATION FOREVER! I nominate Pope Francis for most likely to frustrate me in the theology forum. Good guy. Dont understand where he's coming from. I'd also like to see two new categories: a Bob vs. Tuttle Memorial Slap Fight Award for Outstanding Loss of Cool and a Least Likely to Let a Complete and Utter Lack of Interest Kill Off a Thread He Started. I nominate .myself for BRATASS of the year and cOB poinking. Also I'd like to be nominated for least likely to be wearing Cargo shorts. Onyx for the token druid. I think that we need to clarify what we are looking for in the honored positions we are voting for. I propose that the winners of the 2017 awards provide a short statement describing how they were selected and what they have done this year to be worthy of the reward again. Obviously, if they are seeking a different award, they should announce the category they are running for in 2018. Please keep your entries to less than nine pages. Hmm... sneaky. This may be a loophole to the "No self nominations" clause. Outstanding BRATASS of the Year - Johnny McP - See the dynamic tension? Do we need anymore nominations for this category? Well sir, the topic is about the ethics of eating meat, not "vegans I've known as people" or "fad vegan diets", so if pointing out a definition keeps things on the real focus, that seems like a good move to me. Hmm... tuttle may be in trouble this year. He can have it. I've put all my eggs into the "Most Likely to Frustrate hugodrax with a Post" category this year. That was funny, but you don't. I've reached a CPS epiphany. Ah. 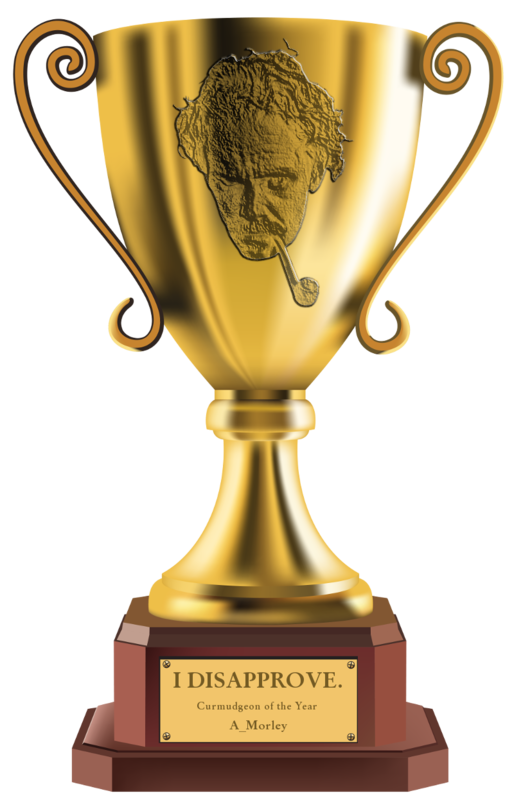 The Tuesday Award. Got it.